Microsoft at E3: new Fable and new Kinect titles outed? 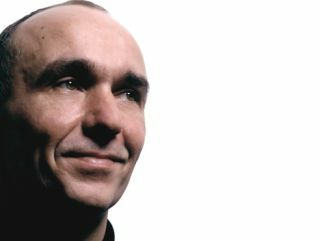 Peter Molyneux: a fixture at the Microsoft E3 press conference - but what will he reveal? The official E3 2011 announcements about Microsoft’s plans for the future of Xbox 360, Kinect and PC gaming are almost here, yet this doesn’t stop those persistent pre-E3 rumours from appearing – with the latest news that Microsoft looks set to announce Fable: The Journey, Kinect Sports: Season 2 and a number of other new Kinect titles in LA tomorrow. The news comes directly from just-registered internet domain names that go by those very same (potential) game titles, as spotted by eagle-eyed trademark site Superannuation. Other potential new Kinect titles we may very well hear a lot more about later tomorrow night when Microsoft’s E3 presser finally gets under way are Dance Central 2, Kinect Fun Labs and some other title called Xcommerce. CVG also notes that some retailers have started listing GTA V and Resident Evil 6 for Xbox 360 and PlayStation 3. Again, expect to hear more on those (and other) uber-gaming sequels from Microsoft and Sony’s press conferences in Los Angeles tomorrow. Microsoft's E3 presser kicks off at 5pm BST tomorrow, followed by Sony’s later in the day at 5pm LA time (that’s 1am in the morning, for those that plan to stay awake to catch the PlayStation conference live and direct!). So, whether or not a demo of Fable: The Journey will see Peter Molyneux exclaiming that this new title is the most amazing use of motion control anybody has ever seen to date (likely) or whether or not we will see Molyneux resurrecting the young boy Milo from that original ‘Project Natal’ demo of E3 2009 (unlikely), this year’s E3 is already set to be the talking point of the gaming and tech industries for the forthcoming few weeks. Stay tuned right here to TechRadar throughout E3 week for the full run-down of every single major news announcement you need to know about as and when it happens.